The Frontierland Churro Cart at Magic Kingdom looks like a stagecoach, and you can find churros here! (They are sold in other places in the parks, but we really like this cart!) The churros are fried dough-pastry rolled in cinnamon sugar. Enjoy it alone or with chocolate dipping sauce! 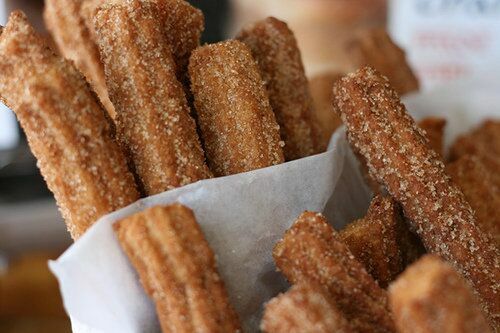 Disney’s churros are the best because they are the perfect mix of soft and crunchy!